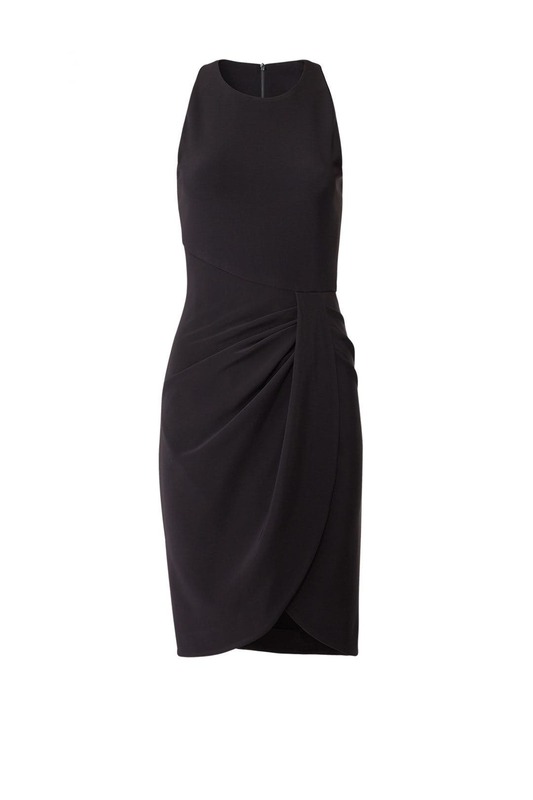 Ruched and party-ready, this Black Halo sheath is just missing the right accessories. Try it with the Wyatt Earrings by Elizabeth Cole. Black jersey (95% Polyamide, 5% Elastane). Sheath. Sleeveless. Crew neckline. Hidden back zipper closure. Fully lined. 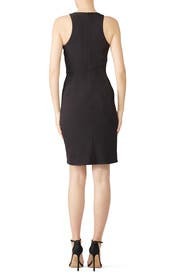 33" from shoulder to shortest hemline, 35.5" from shoulder to longest hemline. Made in the USA. Fit was great, nice heavy fabric. Too dressy and slightly short for the interview I rented it for. Would rent for a wedding or night out.